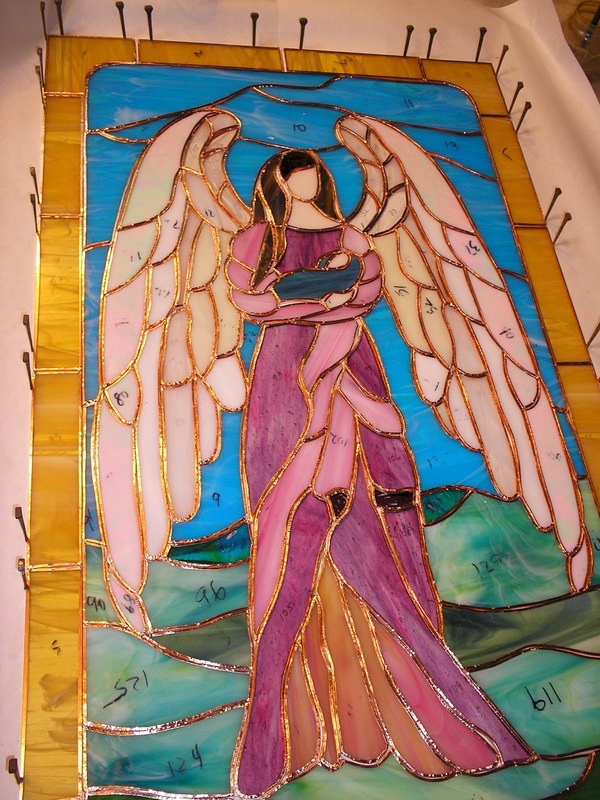 This window entitled "Angel Mother" just got finished and will be an entry for the Springville Spring Salon. Eventually it will go to my favorite tree trimmers who will be topping our cottonwood tree soon. Thanks guys. I'm impressed with the color selections in this window. The greens are so diverse and yet go together so well and the purple dress with pinks added are just perfect! It's Good To Be Honorably Mentioned!